Every journey we organize is tailored upon our guests' requirements, so please contact us to request your private itinerary. All our voyages leave a very low carbon footprint. If you are looking for idle days grilling under the sun with an unchanging horizon and an exceedingly numerous company, you clicked on the wrong site. Our vessels feel at ease in faraway places and 'off the beaten path' routes. It's a question of style, of philosophy. We try to reward our guests with a unique approach to cruising: the original one. To discover our planet as it is. Our modern sailboats can take you in comfort in the remotest and most spectacular corners of the globe, whether they are as close as a volcano in the mediterranean or a barren island in antarctica. Our Italian, French, Slovenian and Swiss skippers share the same loce for the ancient way of sailing the sea, respecting its rules, traditions, heritage and, why not, superstitions. Don't expect to leave for a crossing on a Friday and please do not light a cigarette with a candle. By the way, you know why? The wives of the sailors of the old days, especially whalers who remained away from home for years, always kept a lit candle at the window. It meant that their husband was faraway, but alive. The candle meant life, and could not be used for other pourposes. Contact us to find the best vessels to learn the poetry of sailing. 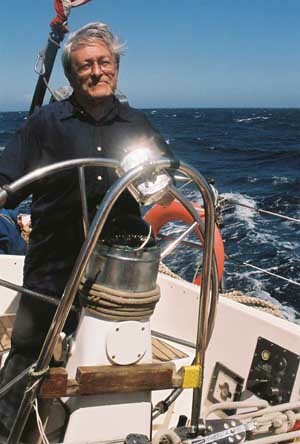 To sail the Sea is not just a question of technique. Feeling the wind and reacting to it is just the beginning. Indeed, often the most critical and interesting aspects are to be found in the subtle shades of livaboard life and in the challenging psychological relationship with the power of the sea. You cannot find this in the manuals. Probably the best way to have a touch of the culture of the sea is to embark in one of our adventure cruises. But as we understand that time is precious and not everyone is an Ocean wanderer, we will find vessels closer to your favourite destination and arrange a program suitable to your needs. If you already own your boat but never faced hard if not extreme conditions, and want to be prepared, we have skippers and vessels who arrange heavy weather weekends and cruises where they will teach you how to handle, practically and psychologically, unfavourable weather conditions. Some of them learned in the worst corners of the world, such as Cape Horn or the wistling fifities, and their experience will give you enough confidence to face, but not to challenge, the darker days at sea. The topics of the courses are: how to forecast and avoid bad weather, preparation of the boat, organization of the crew, heavy weather sailing techniques, psychological aspects, crew management in extreme condition. A must for every aspiring offshore sailor. The training weeks and weekends will take place in spring and fall, when it is often blowing hard. Accommodation on board, sailing also at night, often when it's blowing hard. Crossings, transfers, expeditions, Ocean passages. Thousands of vessels sail long distances every year and often accept crew on a various basis. Each captain has his own rules, so contact us and we will find a solution for you. Some of our skippers will take you along while they arrange transfers in the Mediterranean, our consociate agencies in England and the United States will also provide the necessary information and references to provide you the tranquillituy of a safe (but not necessarily calm) cruise. Contact us for this really cheap way of sailing! 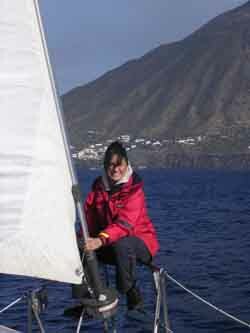 Help our skippers to move sailboats and learn to sail with real professionals.